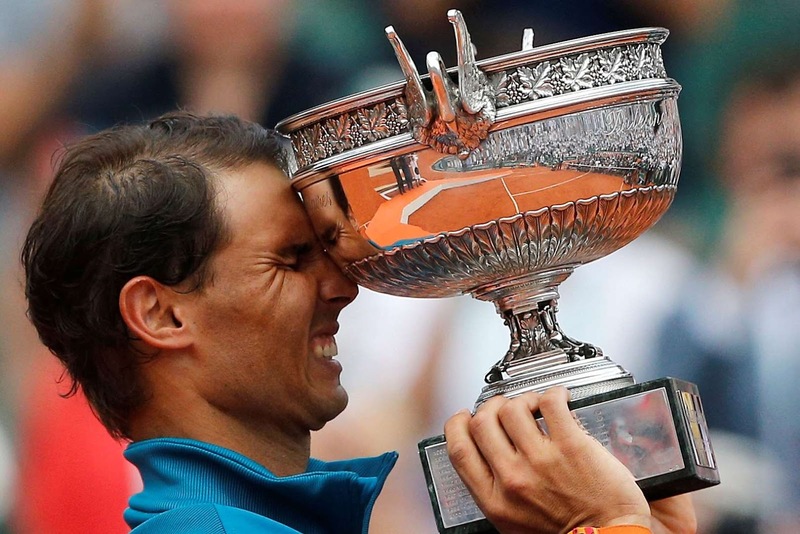 Rafael Nadal holds the trophy after defeating Dominic Thiem in the men's final of the French Open on Sunday in Paris. Nadal won 6-4, 6-3, 6-2 for his 11th French Open title. 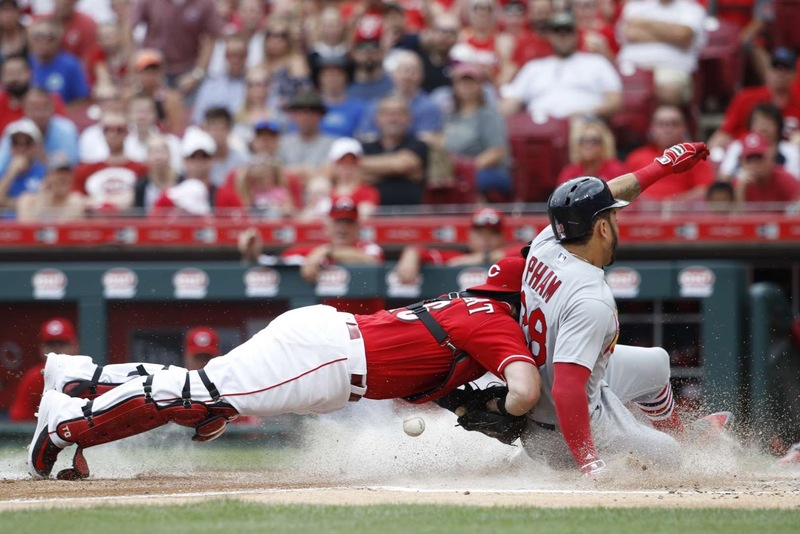 Tommy Pham (28) of the St. Louis Cardinals scores on a sacrifice fly ahead of the tag by Tucker Barnhart of the Cincinnati Reds on Sunday in Cincinnati. The Reds won 6-3. 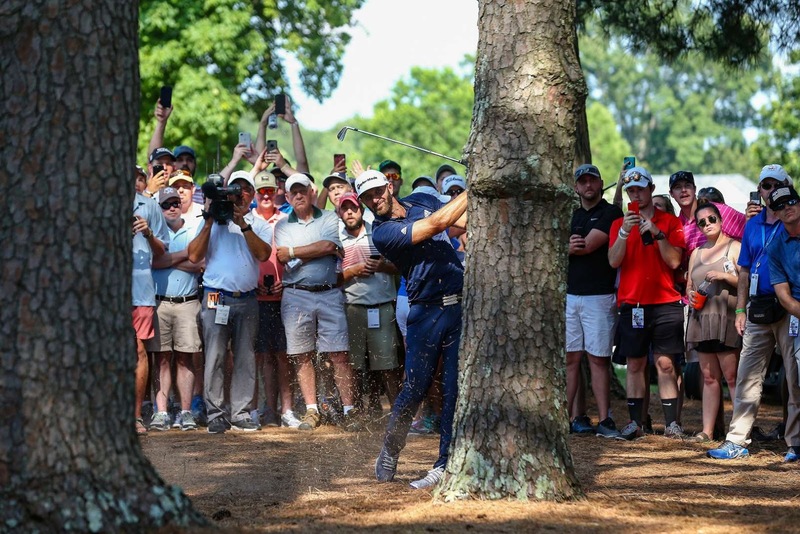 Dustin Johnson plays his second shot on the 16th hole during the final round of the FedEx St. Jude Classic on Sunday in Memphis, Tenn. Johnson won the tournament. Cristiano Ronaldo of Portugal poses during the FIFA World Cup 2018 portrait session on Sunday in Moscow. Brazil's Casemiro (5) battles Austria's Stefan Lainer during an international friendly Sunday in Vienna, Austria. 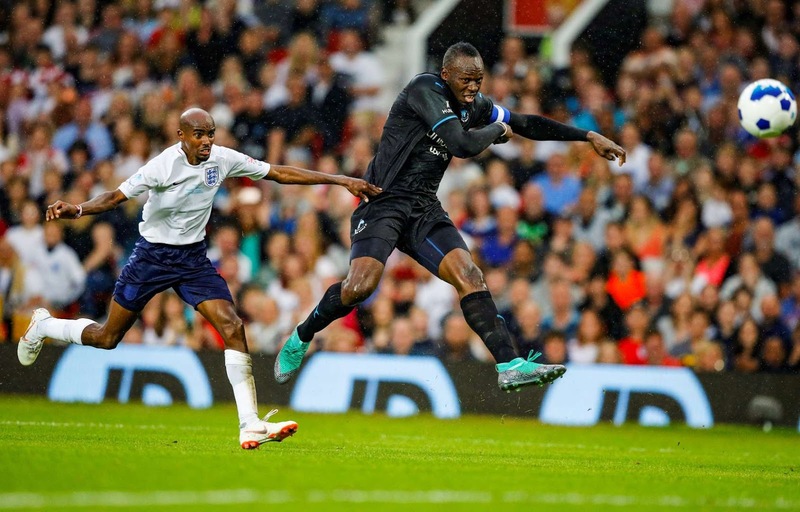 Brazil won 3-0. 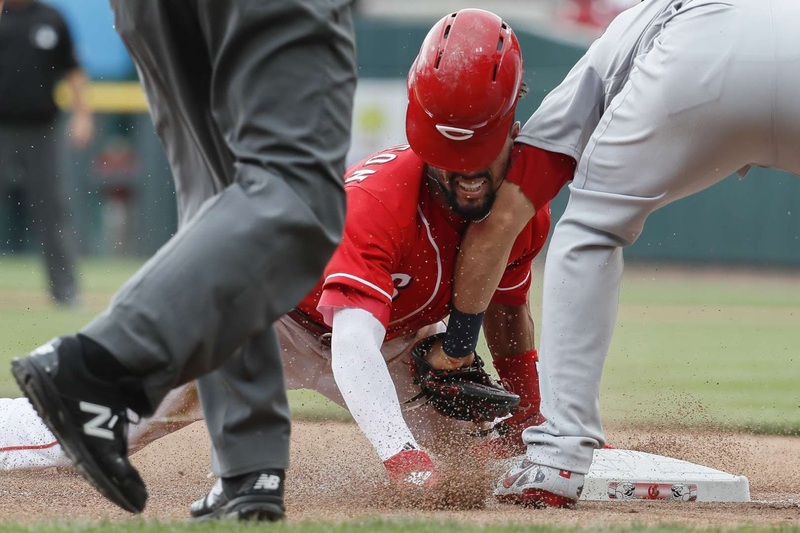 Billy Hamilton, center, of the Cincinnati Reds beats the throw to Matt Carpenter of he St. Louis Cardinals on Sunday in Cincinnati. The Reds won 6-3. 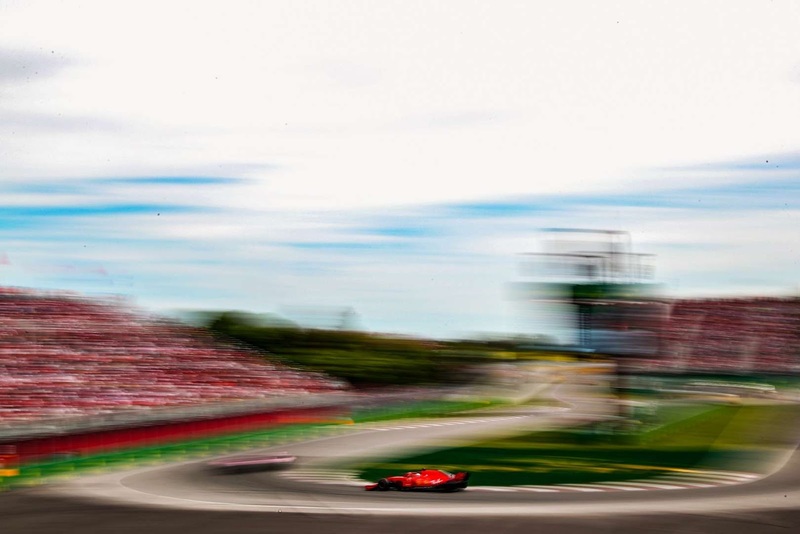 Sebastian Vettel of Germany drives during the Canadian Formula One Grand Prix on Sunday in Montreal. 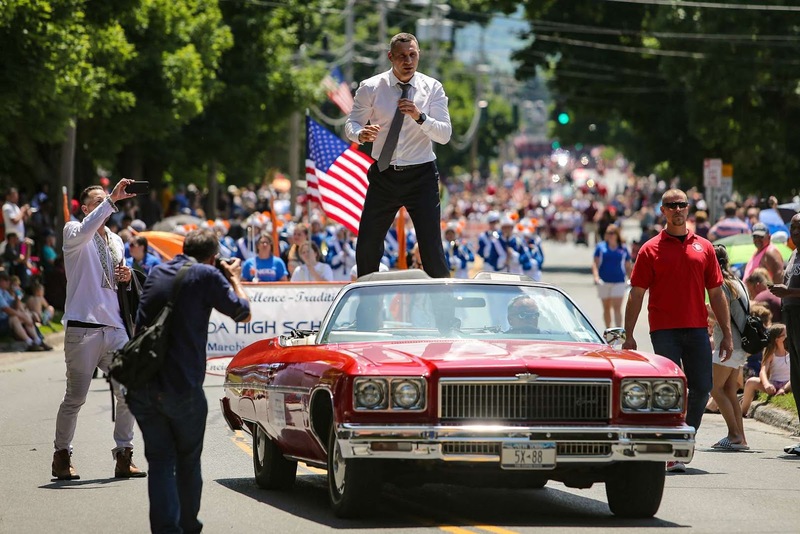 Inductee Vitali Klitschko stands during the parade of champions at the International Boxing Hall of Fame for the Weekend of Champions induction event Sunday in Canastota, New York. 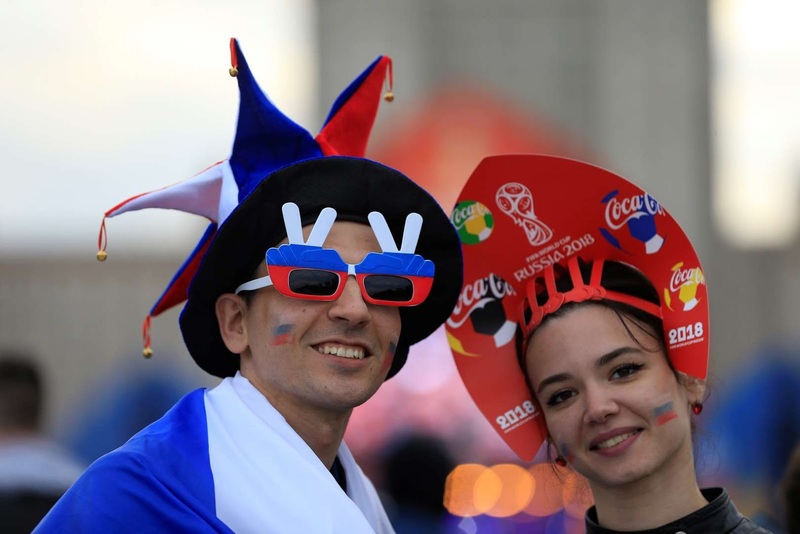 Fans pose during the FIFA Fan Fest for soccer's World Cup on Sunday in Moscow. 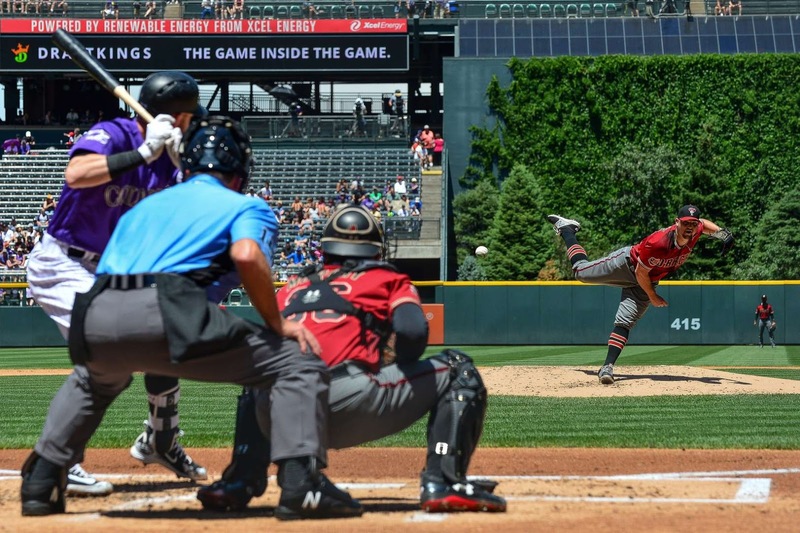 Zack Godley, right, of the Arizona Diamondbacks pitches against Trevor Story of the Colorado Rockies on Sunday in Denver. 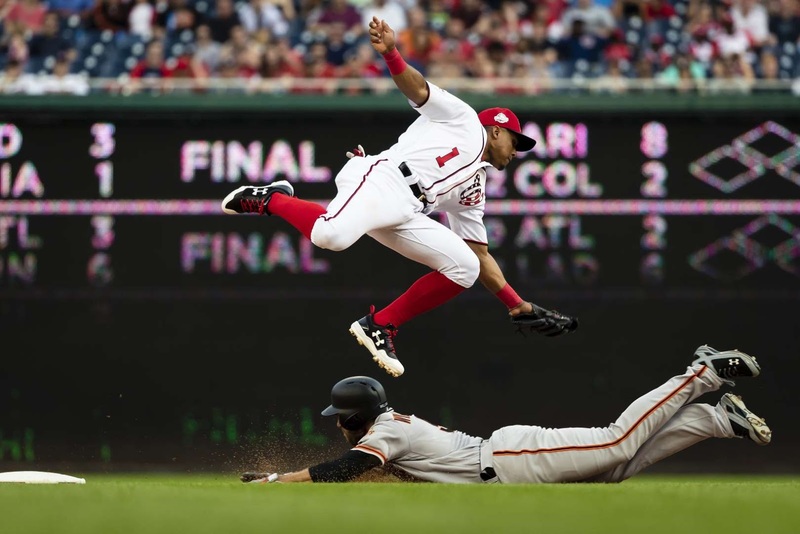 The Diamondbacks won 8-3. 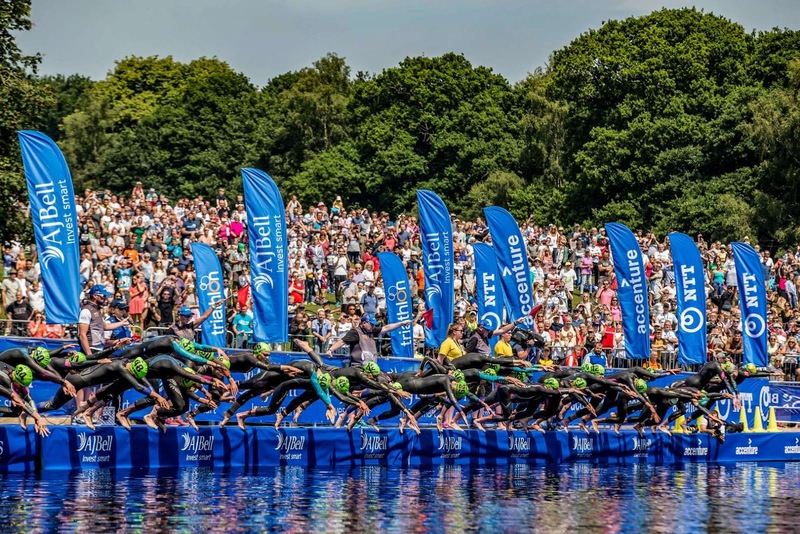 The Elite Women competitors dive into the water to start the AJ Bell World Triathlon on Sunday in Leeds, England. 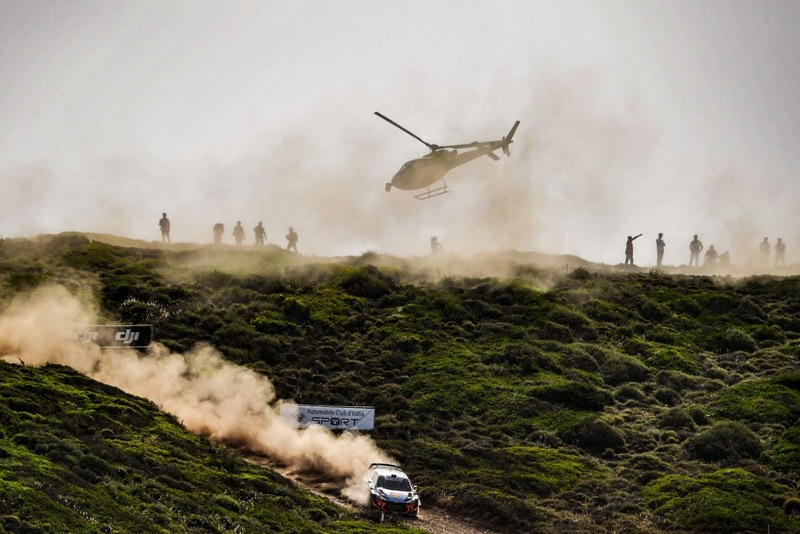 Belgium driver Thierry Neuville and co-driver Nicolas Gilsoul compete during the 2018 FIA World Rally Championship on Sunday in Alghero, Sardinia. 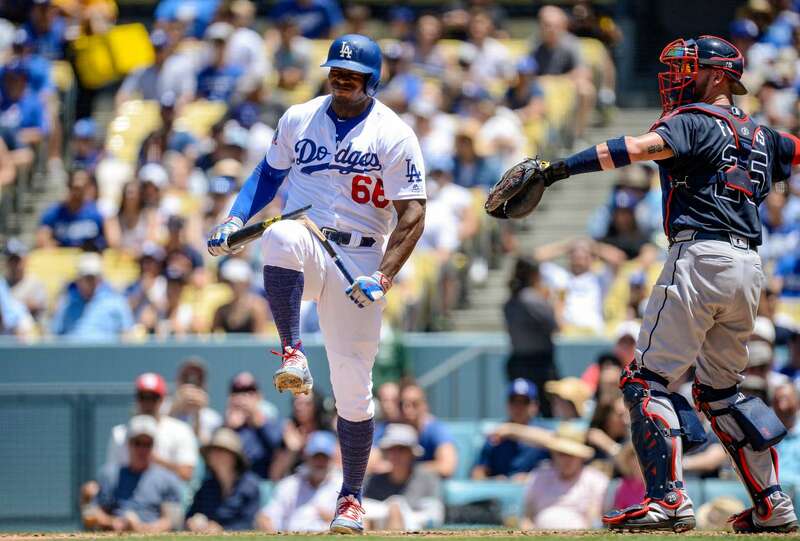 Yasiel Puig (66) of the Los Angeles Dodgers breaks his bat after striking out against the Atlanta Braves on Sunday in Los Angeles. The Dodgers won 7-2. 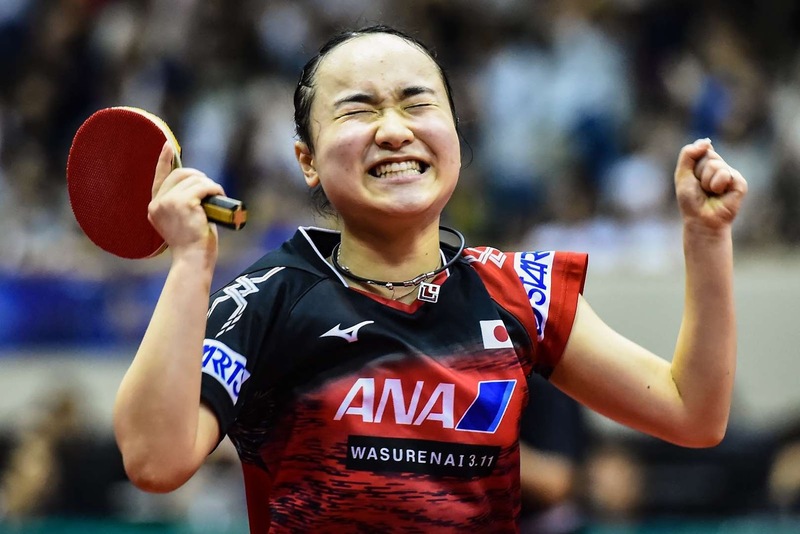 Japan's Mima Ito celebrates winning the women's table tennis singles final against Manyu Wang of China during the ITTF World Tour LION Japan Open Ogimura Cup on Sunday in Kitakyushu, Japan. 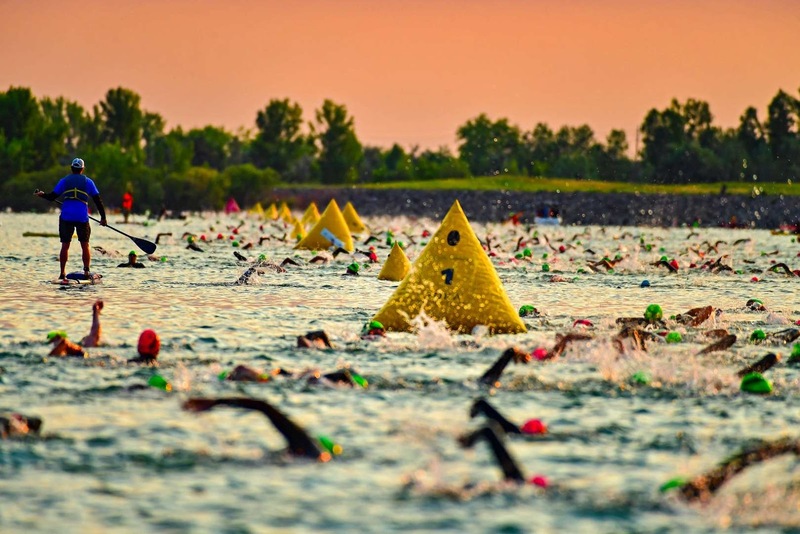 Competitors swim in the Boulder Reservoir during the IRONMAN Boulder competition Sunday in Boulder, Colorado. 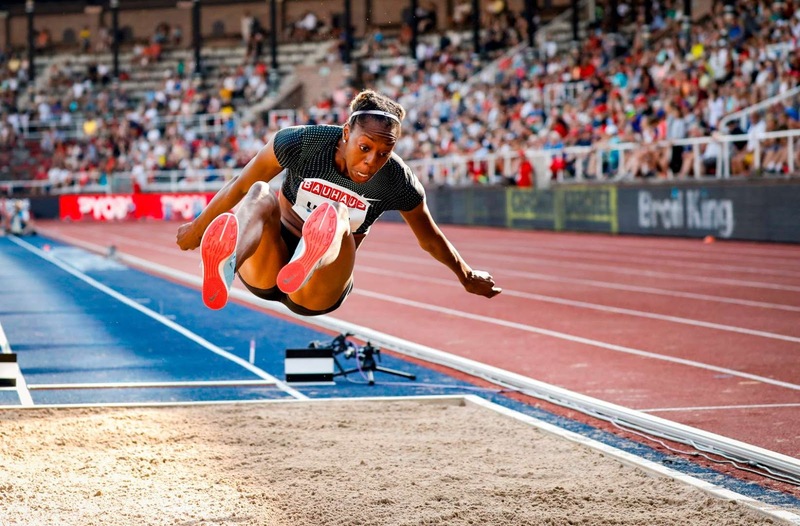 Lorraine Ugen of Great Britain wins the women's long jump at the IAAF Diamond League 2018 track and field meet in Stockholm, Sweden, on Sunday. Charlie Tilson of the Chicago White Sox cannot make the catch against the Boston Red Sox on Sunday in Boston. Chicago won 5-2. 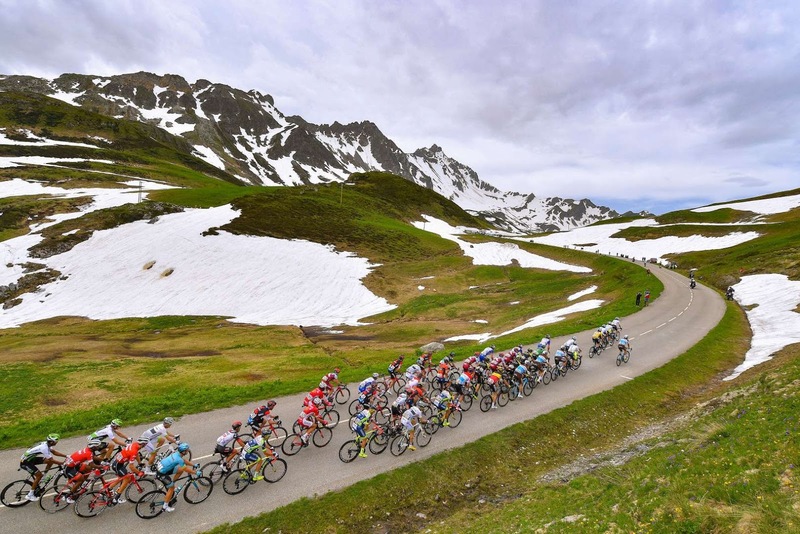 Cyclists compete during the 70th Criterium du Dauphine on Sunday in Saint-Gervais-la-Foret, France. Katerina Siniakova, left, and Barbora Krejcikova of Czech Republic pose with the trophy after winning French Open women's doubles Sunday in Paris.